* Please note this article was written at the end of 2014. I’m writing this at the time of year when media sources start to compile their ‘best of’ lists. Therefore, inspired by that theme, I bring you the three apps I have enjoyed most this year from an educational standpoint. That is not to say that they are apps that came out this year, but ones I have got the most out of, be it with students, trainees or teachers. On seeing the trailer you might wonder how iMovie trailer aids language learning, after all there is little language in the trailer itself. However, that comes in the planning and evaluating. A trailer needs to be planned. For example the class (or groups in a class) can discuss what the topic is going to be and which template to use? Once these are decided then the students need to decide upon 12 -18 photos and videos clips to realize their trailer. 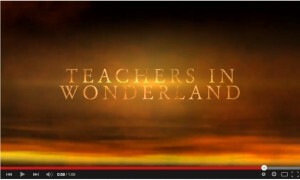 All this being done in English provides an excellent focus for language production. An additional boon is that it doesn’t require the class to have tablets, one will do as all the planning can be done on paper and photos taken on the students’ own phones. To assist in the planning, the website learninginhand.com has produced downloadable versions of the templates (3). My third choice is one of my favourite finds this year, Plotagon (7). It works on computers as well as iPads but I have only used the iPad version. You should also note that it is a freemium app so for some things you need to pay, though the free parts are enough for a creative project. 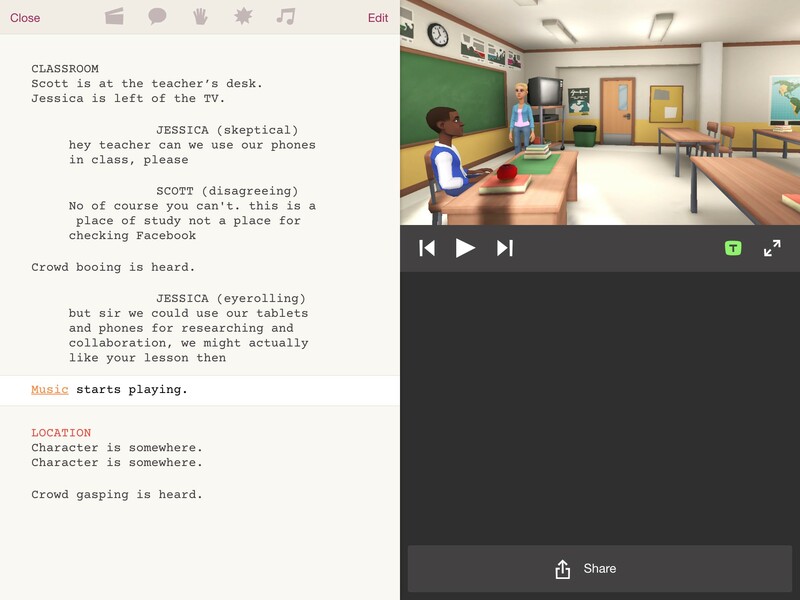 Simply speaking, Plotagon turns the written word into video and as such can be the spark for creative writing and language practice. Imagine the motivation from a story-writing lesson where the story comes to life. 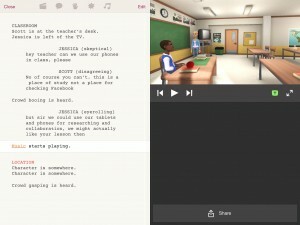 As you can see from the image, on the left hand side of the app you have a place to write a script. Here you type dialogue, stage directions and even audience reactions. This is then realized in video as you can see in the top right of the image. 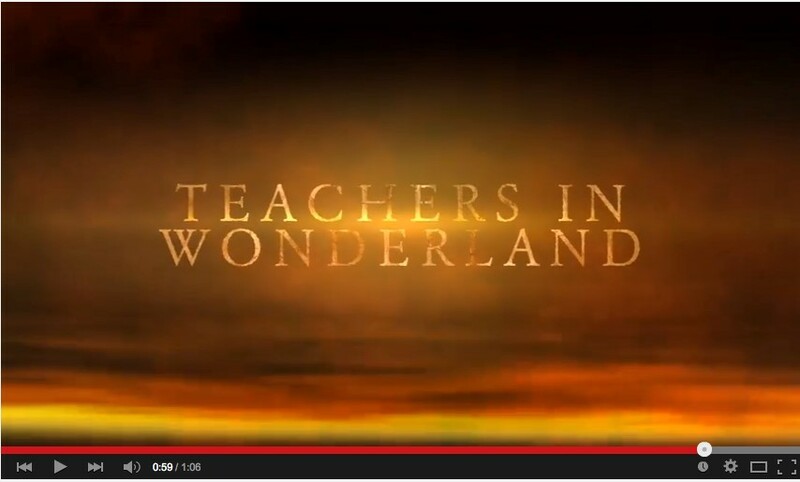 Once finished the video can be exported to youtube (or Facebook) for people to view. So that’s it, three apps to add creativity to your classroom. I always say the tablet (or phone) in the classroom is not there simply because we can use it. Using them as tools must give added ‘value’ to the language learning process and I reckon all three of these apps provide a catalyst for both creative and motivating projects and a lot of language practice for any age of student. #eltchat group which meets every Wednesday to discuss issues and ideas in ELT and membership secretary of the IATEFL Learning Technologies SIG. Feel free to follow him @shaunwilden or read his blog (shaunwilden.com). When not sitting at a computer, Shaun enjoys growing food in his garden and then cooking it.